7466 Hazel Avenue Maplewood, MO. | MLS# 16058303 | Real Estate in Saint Charles and Saint Louis Areas, including Saint Charles, Saint Peters, Weldon Spring, O' Fallon, Wentzville, Dardenne Prairie, Creve Coeur, Chesterfield, Florissant, Hazelwood, Kirkwood, Des Peres, Saint Louis City, Homes for sale. Maplewood Century Home built in 1904! 3 story Masterpiece totally remodeled & completely updated... some original moldings! Brand New flooring & fresh designer paint thru-out entire house. Formal Liv rm area open to the large formal Din rm. Amazing Gourmet Kit opens to lovely Fam rm. Kit designed to meet pickiest buyers request; center island w/ brkfst bar, white 42in cabs, granite countertops, s/s appliances, downdraft hood, utensil rack, pendulum lighting over island & sink, recessed lighting, subway tile backsplash...Gorgeous! 2nd sty Master suite w/ walk in closet & huge walk-in shower & double basin vanity. 3rd sty Master suite w/ walk-in closet & full updated bathrm w/ shower. Steps away from all of the great restaurant options on Sutton: Bolyard's Meat & Provisions, Strange Donuts, Muddled Pig, etc. 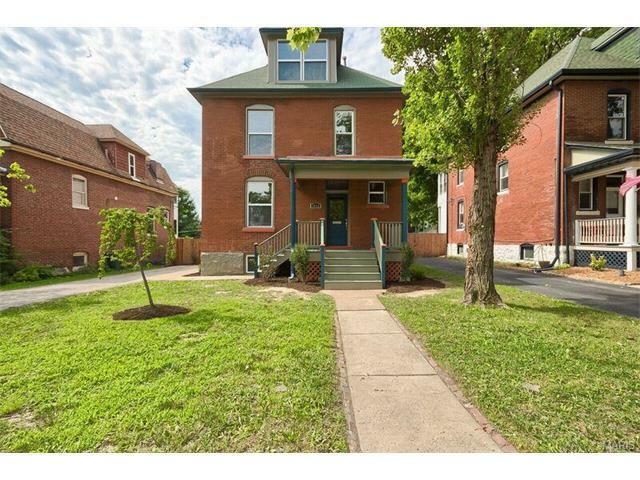 EVERY system is brand New (Elec., Sewer, Water, Dual zone HVAC & portion of roof is new, windows,& front porch). Parking apron to be replaced as park of street improvement.